There is a total hectare counter and a session hectare counter which can be set to zero. 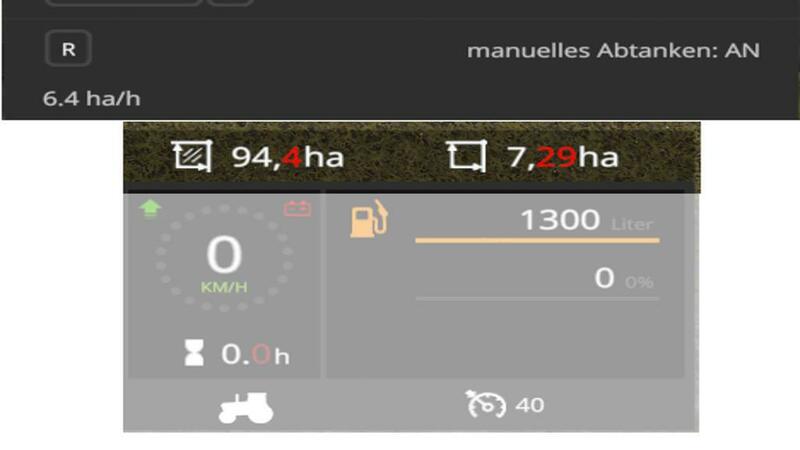 The help window will display the threshing performance in hectares per hour (ha / h). 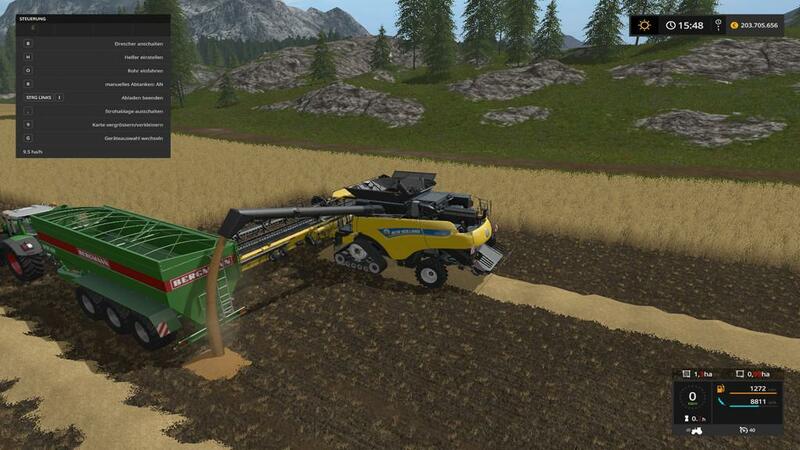 To start or stop the overloading process from the thresher/rootharvester/augerwagon you have to push a button. ATTENTION: If you miss the trailer, your crop will fall on the ground! Switch to automatic overload mode (key Alt+End) if you want to disable manual overloading. When lifting and lowering the cutting unit, the reel is automatically moved downwards or upwards. At a level of 80% of the grain tank or bunker volume, the beacon lights are turned on and a beep is played. The beep is replayed at a fill level of 99%.